There are many appliance repair companies operating in Livingston, New Jersey. You could easily choose any of them to fix your appliances. 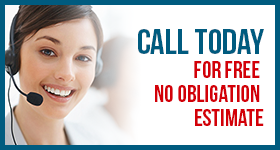 We must try to convince you that Livingston Appliance Repair is your best choice. Ultimately, the facts speak for themselves. Our certified appliance pros provide fast, effective, and affordable service. Every tech on our team is friendly, honest, and eager to help. We have the training and experience to fix all residential appliances. We believe we are the best choice for appliance service in our area. Our seasoned experts are skilled pros. 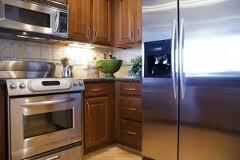 We can fix or install a variety of appliances. You can call our techs to install your washers and dryers. We administer this service quickly, safely, and efficiently. You don’t always have the time to do this on your own. Perhaps you are unable to move around heavy appliances. Our specialists will do the job for you. We will make sure everything is working fine before we leave your home. We do appliance installation right. Get in touch with our appliance technician today. Perhaps the most important thing we do is provide quality appliance repair. Our pros respond quickly to fix laundry and kitchen appliances. We bring the best tools and the right parts to the job. Our technicians put their experience and skills to work for you. We listen carefully to our customers. Through the information provided, we know exactly where to begin in the repair process. We will find the problem fast. In most cases, we can have the unit up and running in no time. We are a local home appliance service company that cares about the people we serve. If you are having trouble with your fridge or freezer, we want to fix it fast. You should never need to wait long for service. We offer same day repair service. Our work is backed up by a customer satisfaction guarantee. We will rush out to fix your stoves, ovens, dishwashers, and microwaves. Our experts are trained to repair all types of washers and dryers. Don’t trust laundry or kitchen appliance repair to just anyone. Let us do the job for you. Call Appliance Repair Livingston when you need service. We promise to get there fast and get the job done right.